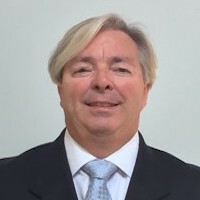 Steve Ditty, an independent information technology consultant, has over 27 years of “Big 6” Consulting experience specializing in managing global ERP HCM implementations and outsourcing engagements for Fortune 500 firms. He has played executive-level roles at Accenture, IBM, Deloitte, and Northgate Arinso (NGA). In addition to his consulting work, Steve also played a visible, external role by representing these firms at public events and conferences across North America and in speaking opportunities with clients and to industry analysts and Advisory Firms. In the Management Consulting industry, Steve has implemented the SAP HCM software at firm’s like Procter and Gamble, Fidelity Investments, Marathon Oil, Allstate Insurance, and Nortel Networks. His consulting roles have ranged from business analyst to program executive where he has led global teams in successful business process transformation, software implementation, and IT Vendor selection and strategy efforts. In the Business Process and IT Outsourcing industry, Steve has managed several strategic accounts like the State’s of Texas and Florida, Boston Scientific, Levi Strauss, Pfizer, and British Telecom. In this capacity, Steve has been the overall account executive, owned an annual P&L of approximately $110MM in contract revenue, and led several hundred IT, Call Center and Business team members in the daily delivery of the Functional and IT contracted services. These accounts were serviced by Centers located both on and offshore and included Service and Data Center operations. Steve performed as an Expert Witness for a global software firm in a very high profile case. In this capacity, Steve reviewed several thousand pages of testimony and project documentation and published multiple expert reports. He gave deposition testimony in State Superior Court and the case settled before the trial started. He has also been engaged as the lead Expert Witness in another large Federal case where he is representing one of the largest ERP implementation firms. Steve holds a B.S. in Management Information Systems from the Pennsylvania State University.